The European Union does not take its relations with Beijing seriously enough, as evidenced by the unilateral postponement of the 14th EU-China summit and the failure to grant China Market Economy Status, argues Sebastian Bersick. "The fundamental challenges that the EU is currently facing can hardly be overestimated. In many respects it is a struggle for survival. Failure may not only lead to economic strife and respective political fall out but also to a breakdown of the EU member states' long search for a European identity. It thus takes no wonder that Europeans appear to be increasingly desperate in their efforts to guard against the next moves by the financial markets. The latest agreed plan includes the expansion of the European rescue fund to a mind-staggering €1 trillion. The surprising postponement of the 14th EU-China summit, which was to take place on 25th October in Tianjin, is due to these very crisis-driven dynamics of European politics. Yet, this is the second time in less than 3 years that an EU-China summit has been unilaterally postponed. In 2008 China postponed the 11th EU-China summit, which was to take place in Lyon, France, with only 6 days of prior notice. What is the value of EU-China summits, if both sides do not prioritise them? The reason for this year's postponement might be considered as force majeure. The EU is confronted with its biggest internal crisis ever, its leaders constantly meeting in order to deal with the Eurozone debt crisis. And it bodes well for the atmosphere that European Council President Herman Van Rompuy not only explained the reasons for the decision to postpone the summit only 4 days prior to the scheduled summit, but also even apologized to the Chinese side in a phone call with Chinese Premier Wen Jiabao. Furthermore, Catherine Ashton, the EU High Representative for Foreign Affairs and Security Policy/Vice President of the Commission agreed with State Councillor Dai Binguo to quickly find a new date for the EU-China summit during her visit in Beijing. Yet, the EU could have informed the Chinese side earlier. The timing smacks very much like retaliation: you left us standing in the rain in 2008, now it is our turn. This is not how real strategic partners would treat each other. It demonstrates the EU's unwillingness or inability to engage and negotiate with China on an equal footing. 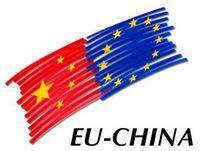 The EU is in need of solid EU-China relations. And so is China. 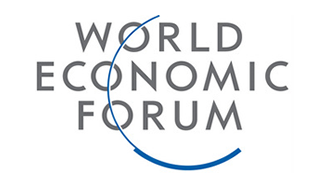 China is the EU's second largest and fastest growing overseas market. The EU is China's largest overseas market. Both sides are eager to attract each other's Foreign Direct Investment. A stable and functioning European market is to the EU's and China's benefit and interest. So is the support of the euro. European demand for Chinese exports is threatened if no sustainable solution to the European crisis can be found. After the 10th EU-China summit in 2007 a member of the EU delegation said to me that the Chinese side has an 'attitudinal problem'. He was referring to the negotiating style of the Chinese delegation, which resulted in much longer negotiations over the Beijing Summit Declaration than expected. This time, perceptions lie at the heart of the problem. Perceptions matter as a foundation for understanding choices, expectations and decisions of others. Not so much the facts but how the facts are constructed and understood poses a challenge to EU-China relations. China's economic rise is a fact, so is China's increasing international role and status. And it is also a fact that China has started to increasingly contributing to the EU's economic security by e.g. buying government bonds of EU member states, which are struggling with a sovereign debt crisis, like Greece, Ireland, Italy, Portugal and Spain. There are no free meals in international relations. Beijing expects from the EU to be treated in accordance with these new realities. Europeans appear to be not ready for it. For years now China has been asking the EU to provide it with Market Economy Status (MES). Certainly it is very difficult for the EU and its 27 member states to find consensus and implement China-related policies. Yet, if the EU wants to be taken seriously in China and the Asian region, it must come across as a unitary actor and speak out with one voice. In the end it depends on the political will of the actors involved to overcome European disunity vis-à-vis China. The MES is a case in point. The EU member states are divided on the issue and the EU is unable to live up to China's expectations. No give-and-take solution has thus been successfully negotiated. This is all the more discouraging because, as WTO rules have it, China will get MES automatically in 2016. The Europeans are losing the momentum for negotiations as time is on China's side. In the eyes of Beijing the EU only demonstrates a fundamental mistrust of China's economic success and, ultimately, the EU's missing political will to contribute to an improvement of the quality of EU-China relations by sending a signal of the EU's trust into China's overall development. The new realities in EU-China relations are also evident in the EU's request to the emerging countries Brazil and China to contribute to the European Financial Stability Facility (EFSF) fund. Whichever method will be developed and chosen Chinese President Hu Jintao has already underlined China's interest in the EFSF fund's success, during a recent phone call with French President Nicolas Sarkozy. It should not come as a surprise to Europeans that it is now argued by Chinese experts that a possible Chinese contribution to the European rescue fund through the International Monetary Fund (IMF) should lead to an increase of China's voting quota at the IMF and the provision of MES to China. Increasingly, better communication is needed between Europe and Asia and between the EU and China in particular. The transatlantic region is losing its dominant role in European foreign policy considerations and making. Europe's interests can no longer be defined with a mind-set that does not fully acknowledge the importance and legitimacy of emerging countries like China to comprehensively participate in the evolving international system. These on-going factual changes should result in ambitious China- and Asia-related policies and strategies. Yet, strategies are either largely dysfunctional or non-existent. Single efforts by the EU, like the Partnership and Cooperation Agreement with China, or the joining of the East Asia Summit (EAS), are not making headway. At the same time the US and Russia are engaging proactively with the region and are to join the EAS this November. The EU has still not accepted that its relations with China and the Asian region need to be based on long-term strategic thinking. Otherwise overall relations risk to be misguided by misperceptions and short-term relative gain seeking. Perception-wise Europeans and Asians are not living up to their potential. Apart from its risks the on-going European crisis also offers an opportunity for EU-China relations. It could trigger the fundamental insight in Europe, that European leaders' dealings with emerging countries have an effect on their own power base at home. Europe's economic prosperity is increasingly linked to Asia's. Asia counts. Failure can result in European leaders losing votes. Once European politicians understand that their home constituencies' voting behaviour does also depend on the quality of Europe's relations with China the EU's outreach to China will have matured."